Cureton will use the Honeywell Connected Plant's Process Insight Reliability Advisor to feed plant data through Honeywell UOP fault models to provide performance analysis and recommendations. Honeywell's Reliability Advisor will help the plant run more smoothly and mitigate issues that impact plant productivity and profitability. "Reliability Advisor is unique in gas processing because it applies Honeywell UOP's proprietary process knowledge and deep troubleshooting experience to recommend operational adjustments more quickly and accurately than has ever been possible before," said Zak Alzein, Vice President, Connected Plant, at Honeywell UOP. "This ensures that gas processing plants can run at the peak of their capability." Honeywell Connected Plant is a suite of applications that delivers higher levels of safety, reliability, efficiency and profitability. These proven industry solutions are based on decades of Honeywell's domain knowledge and controls experience. These solutions turn data into actionable insight to optimize operations, predict plant failures and eliminate unplanned downtime. As part of Honeywell's Connected Plant portfolio, Reliability Advisor gives gas processing plants -- as well as refineries and petrochemical facilities -- greater visibility into their operations so they can identify and resolve problems that often avoid detection and hamper production. It also can help plants avoid unplanned shutdowns for maintenance and repair that would cost plant operators millions of dollars per year in lost productivity. "Reliability Advisor is a powerful software service because it combines process data with UOP expertise to give our customers a deeper view of what's happening in their plants," Alzein said. "It ties plant data to the right domain knowledge to provide new insights that improve operational reliability." 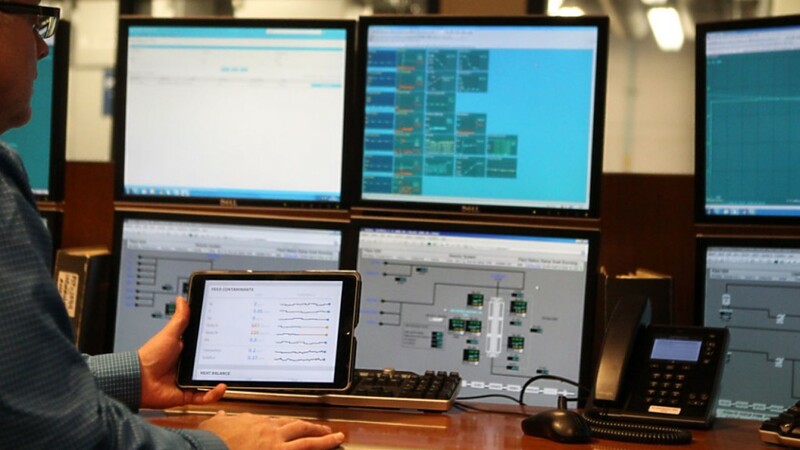 Honeywell Connected Plant also includes Process Insight Optimization Advisor, which continuously monitors streaming plant data and applies Honeywell UOP process models to determine economic optimization. Schneider Electric Software recently hosted its midstream industry user conference, Innovation Summit: Digital Pipelines 2017. The event focused on innovation and excellence in pipeline operations in the areas of safety, efficiency and connectivity. At this event, Schneider Electric Software made a number of significant product release announcements that deliver enhanced functionality and usability to users of Schneider Electric's pipeline management software.